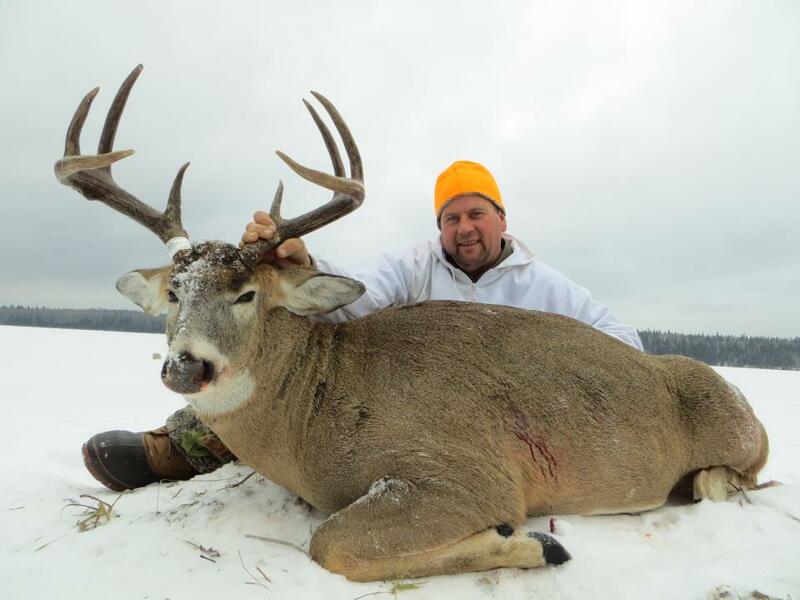 A Bruiser Buck, harvested by Richard, Guided by Sandy!!! We will get this guy next season!!!! 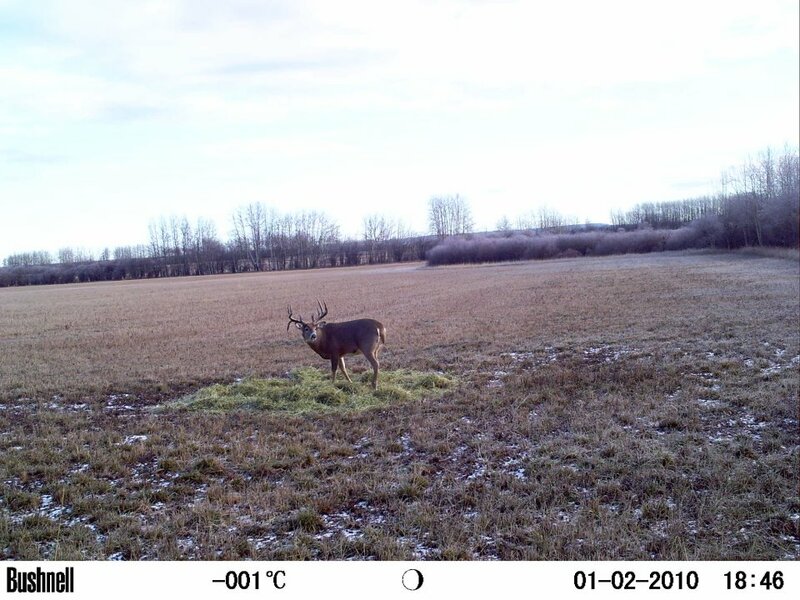 Will be a HUGE buck for 2013!!!! 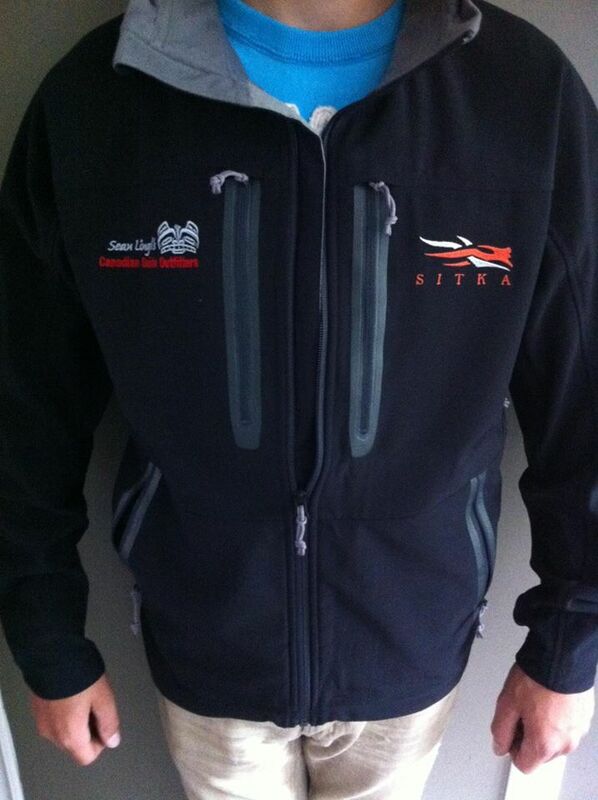 Getting all prepared here for a very busy Fall season!! 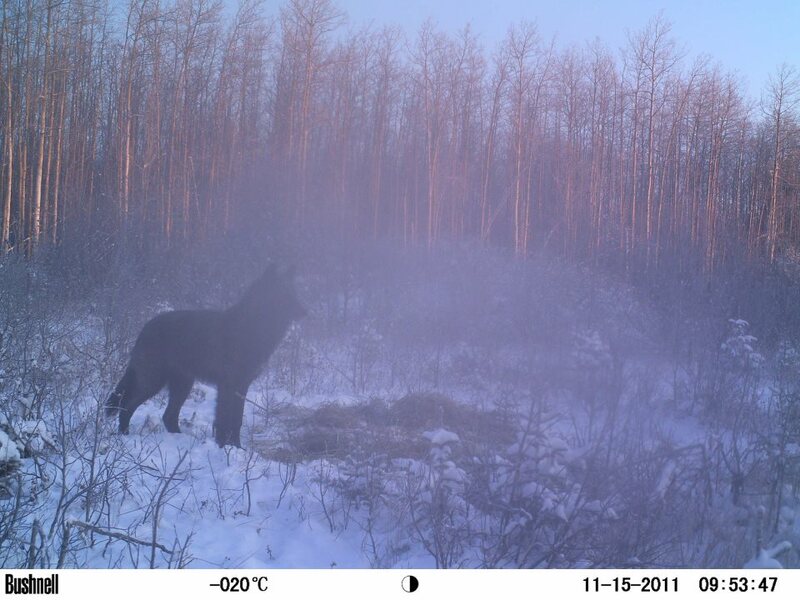 Collecting some very interesting and exciting trail cam pictures! 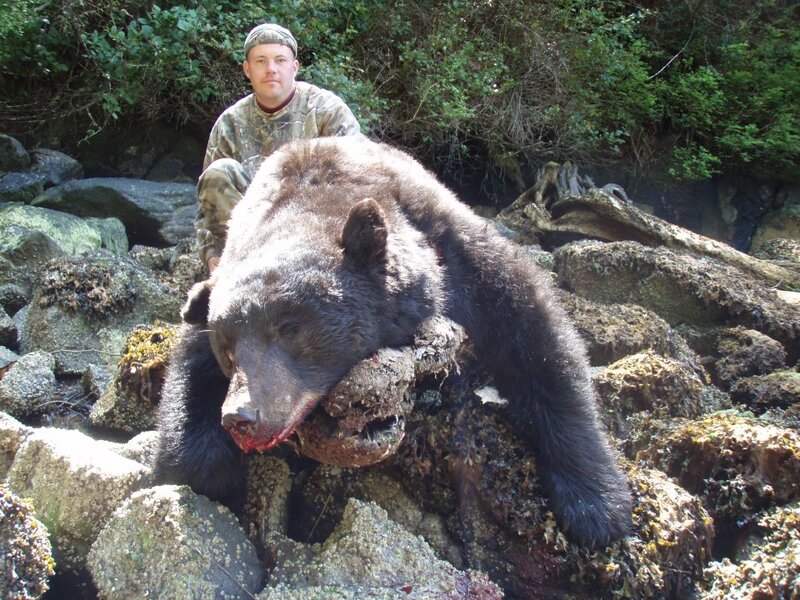 First up is our archery Roosevelt hunt, followed by Fall Blacks and the always exciting Coastal Grizzly!! Our Thoughts, Prayers and best wishes to Taylor and the Ellis family. 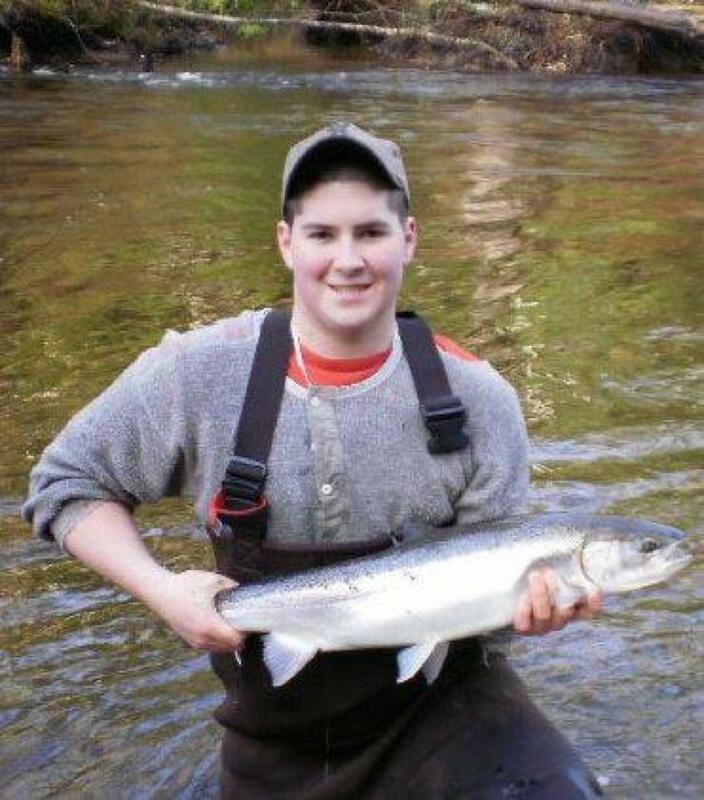 Taylor is an avid hunter and fisherman. 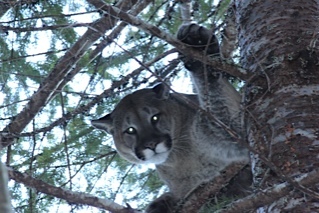 This 18 year old was involved in a bad vehicle accident this weekend. He is a very strong kid and will pull through this time of struggle but the family needs many prayers from all. 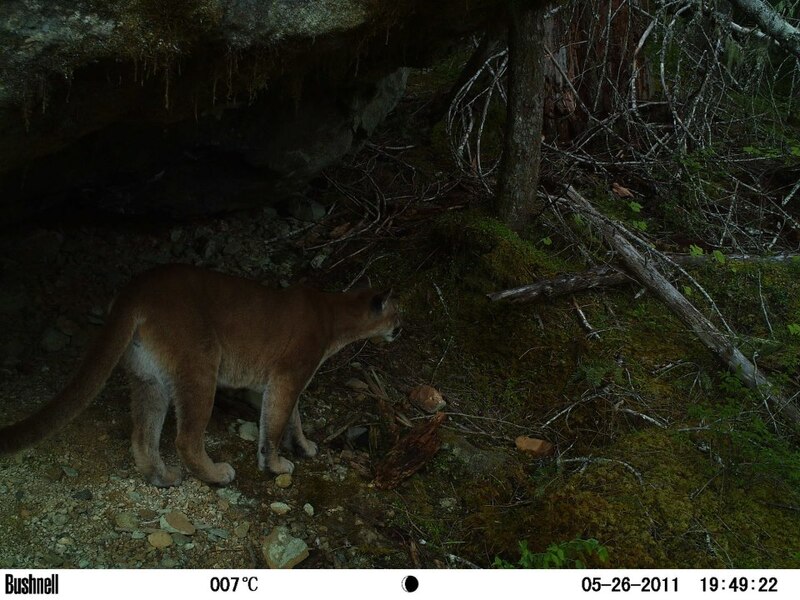 As we start adding to our collection of trail cam pics again, I found myself flipping through our existing albums. Posted a few of my fav's here. 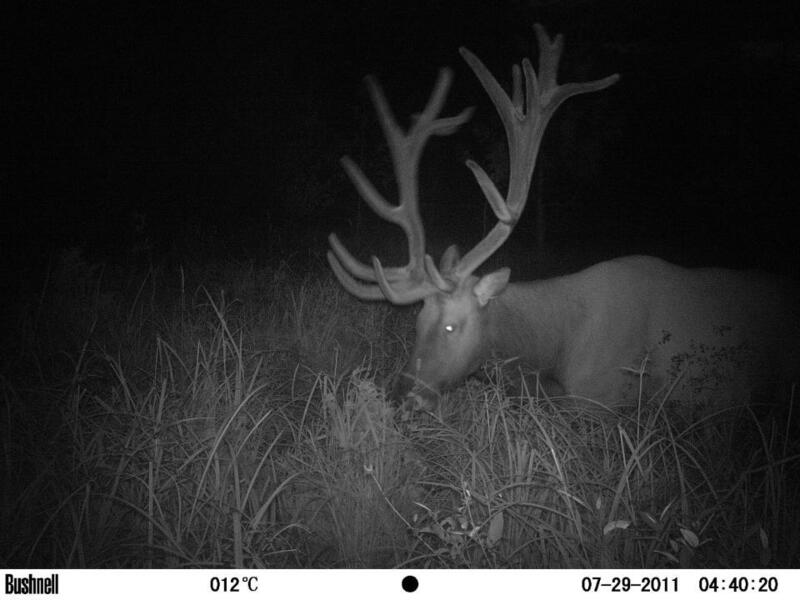 Busy times here...I have all our Roosevelt Elk cams out scouting for some big bulls for our upcoming season, Bear cams out starting to get prepared for our Fall Coastal Grizzly / Coastal Black Bear hunts on the rivers and streams... trails cut and getting ready to put our stands up. 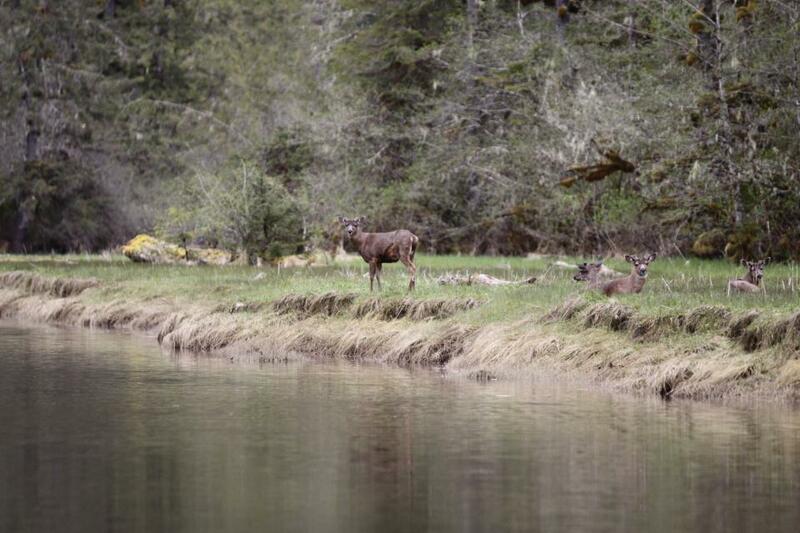 We will also be hunting some of our Coastal Blacktail deer this Fall. 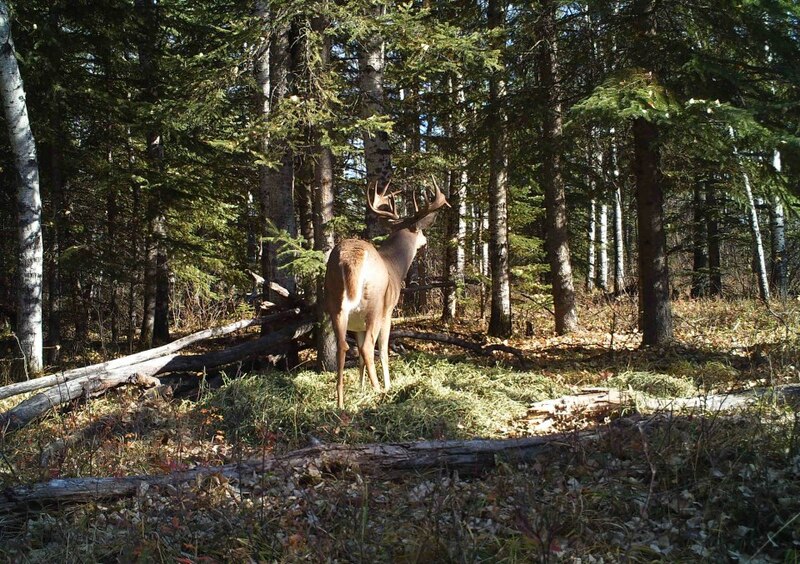 We have been finding some extremely good quality bucks that I am hoping we can find this fall. 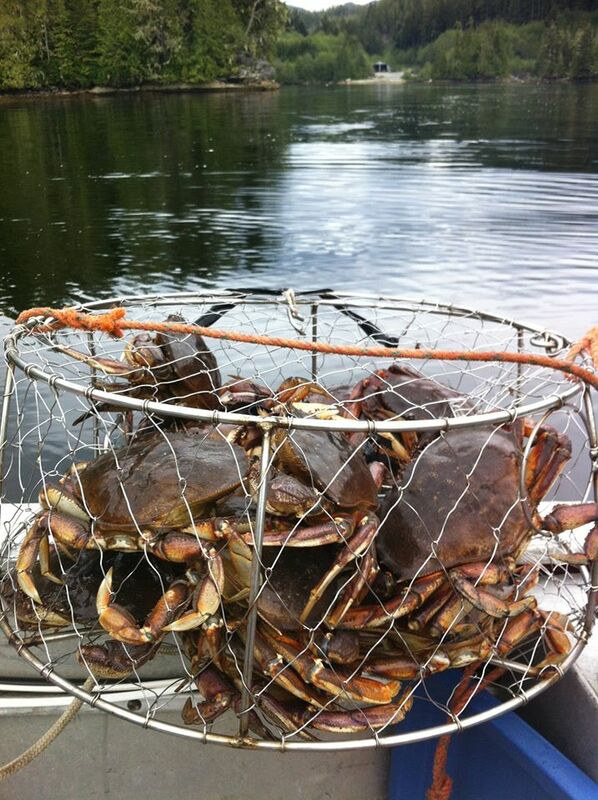 Check out these absolute giants that Bob caught on film this past Spring. 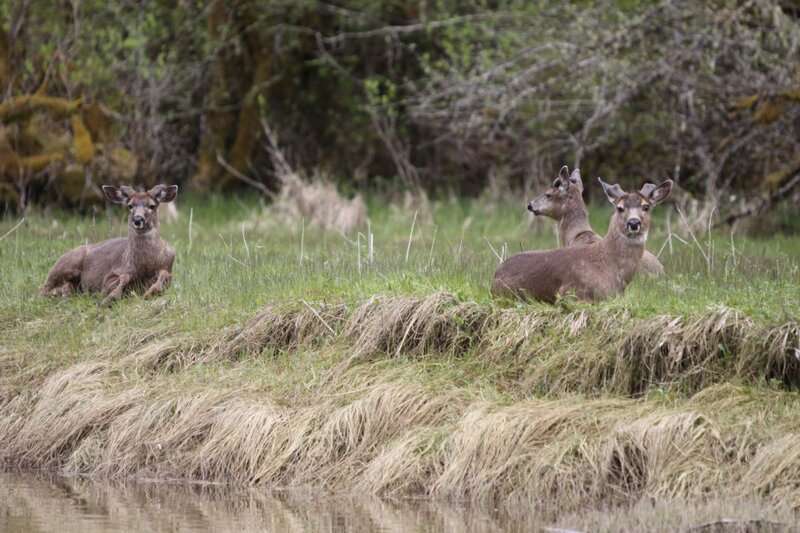 Every one of these bucks will now be trophy quality. 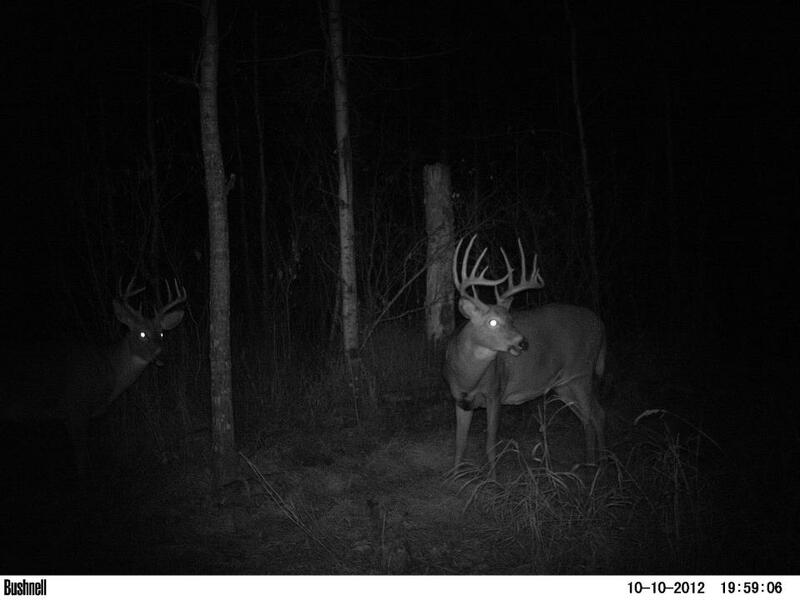 Absolute Giant Blacktails!!! Matt was last as he was first shot the last hunt we had there for goats. 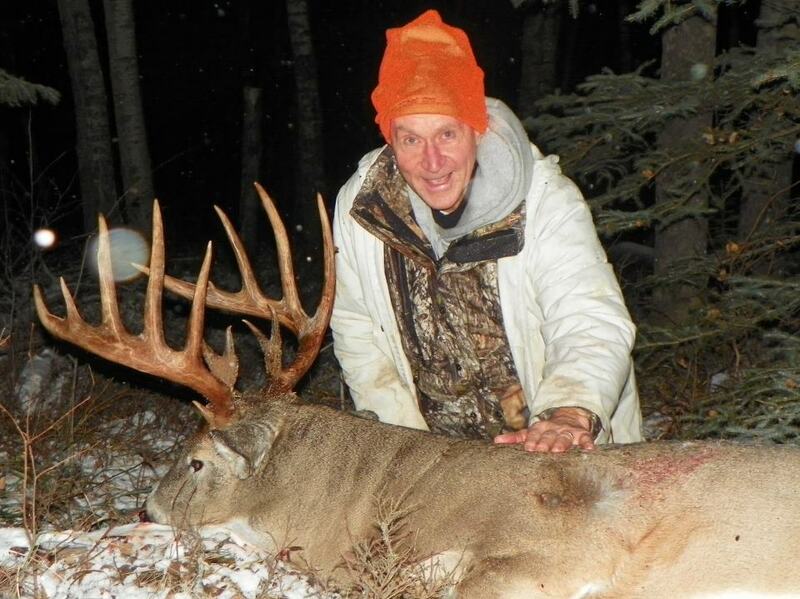 He harvested this big old heavy antlered buck!! 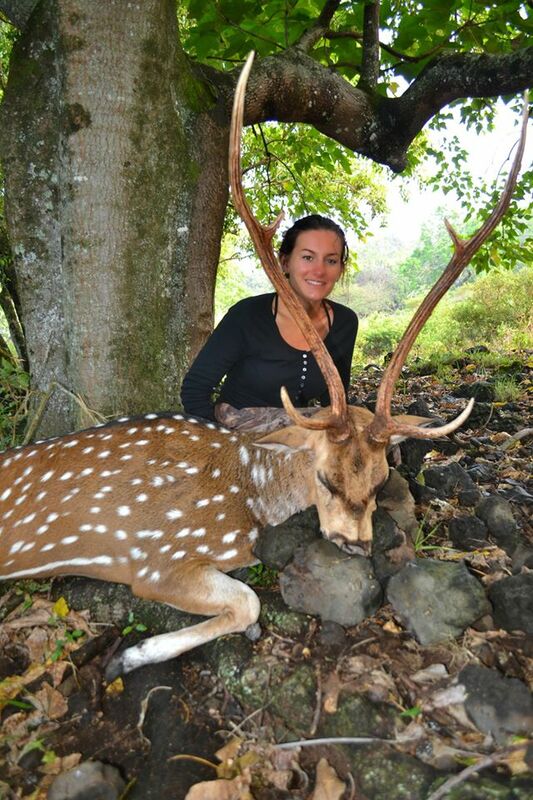 Stephanie harvested this giant the second day of the hunt. 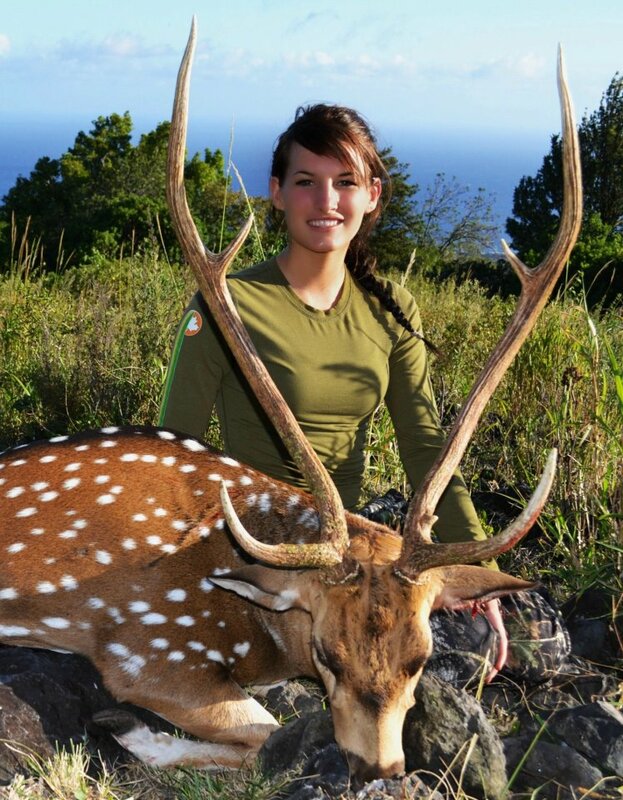 Taylor with her great Axis Deer. A very Happy Girl!! 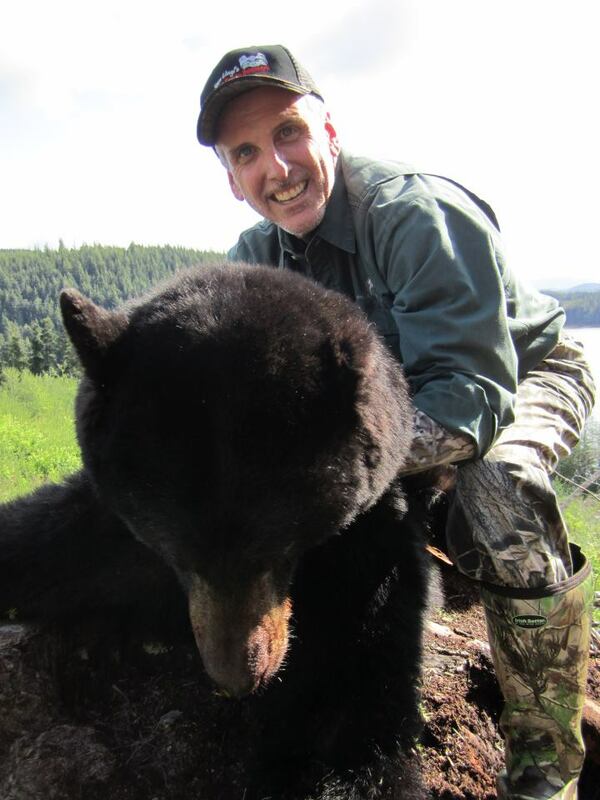 Following one of the best Spring Bear seasons ever, our family took a quick get away to Maui, Hawaii and while there we spent some time hunting with my good friend Rodney and his family. 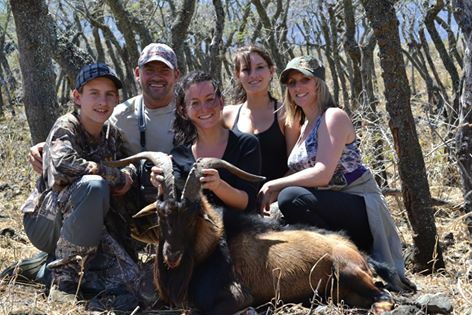 The Perriera family run an amazing hunting area on the Island of Maui, Maui Goats, Axis Deer and Big Hogs, all free range. If you are visiting Maui, I would definitely recommend you give this a try!! 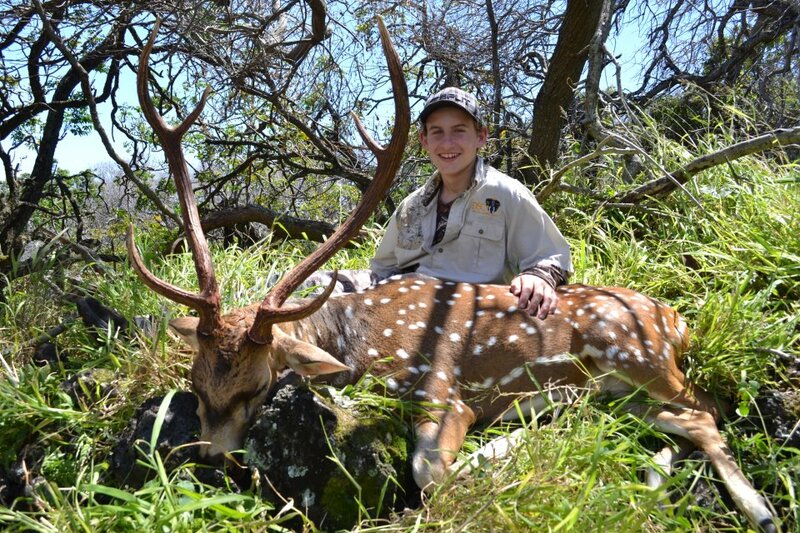 "Maui Hunting Safari"
The newest addition to our Sitka Guide Gear!! Awesome stuff!!! 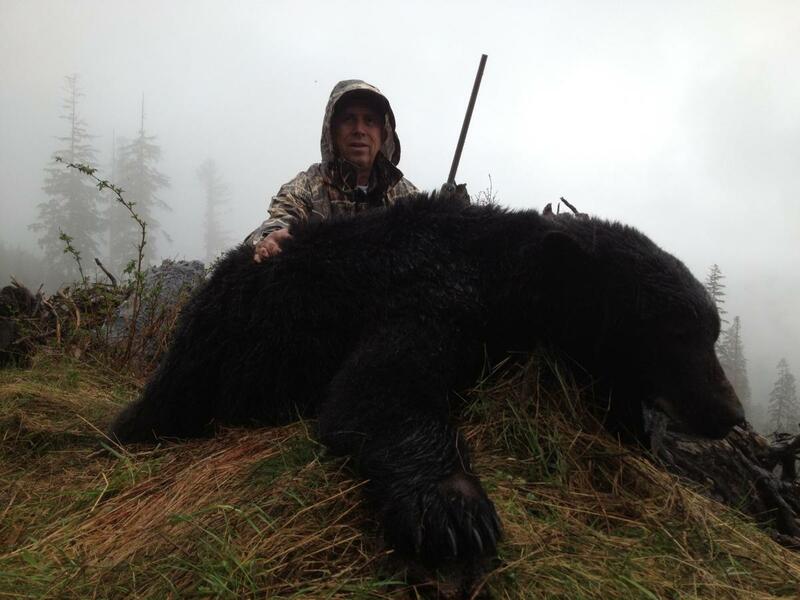 Mark from Kalama Washington with his great bear!! 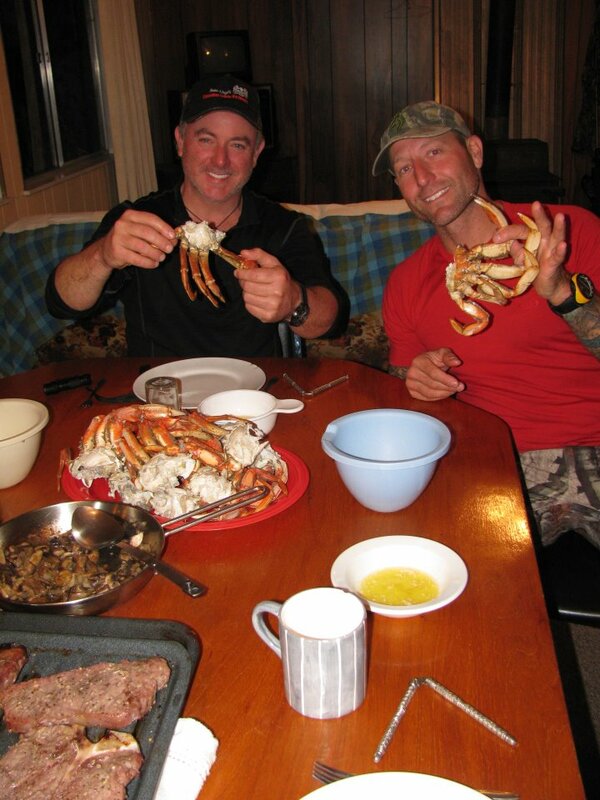 Mark won this trip through the Union Sportsmans Alliance and the Brotherhood Outdoor TV series. I also had the opportunity to spend some more quality time with my good friends Daniel Lee Martin Country Music star / TV host and Julie McQueen TV Host. 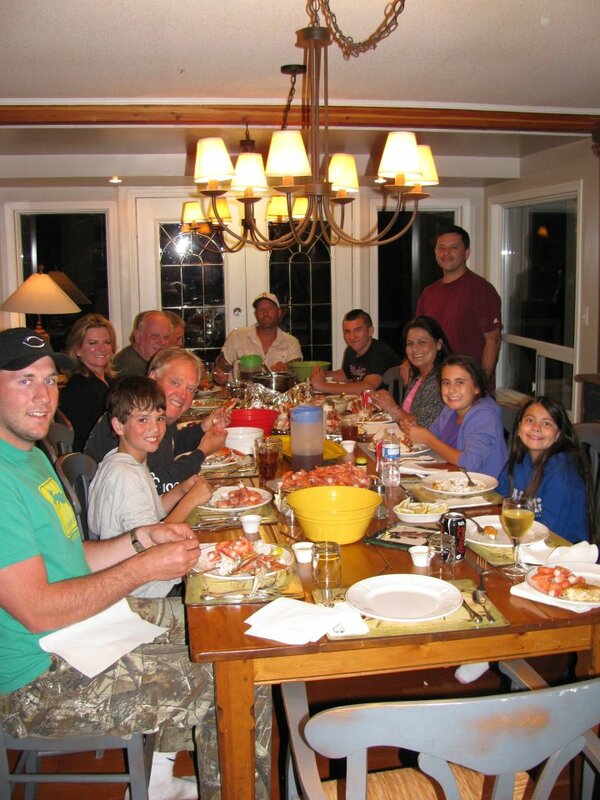 What a great way to end the season, with my good friends. 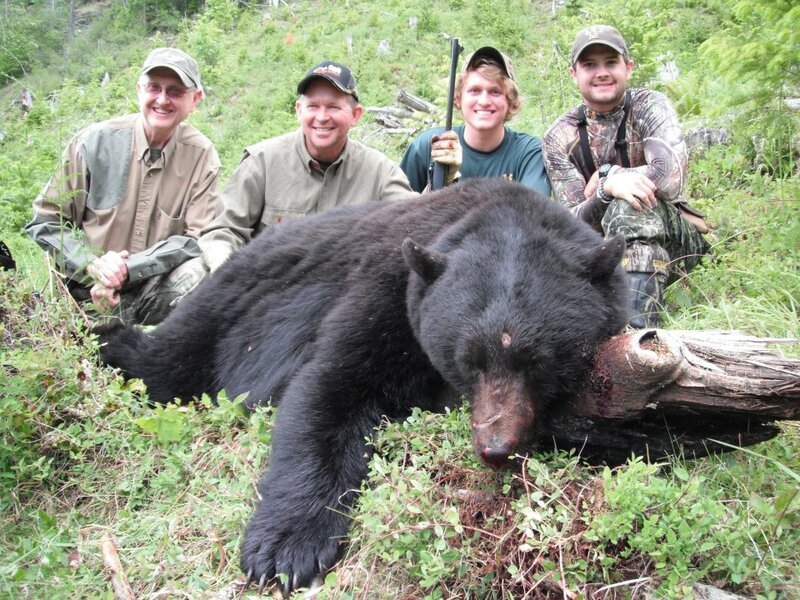 2 Father / son groups Jeff, Will, Don and David from Texas all took giant bears with Oli and Ryan...what a week!! 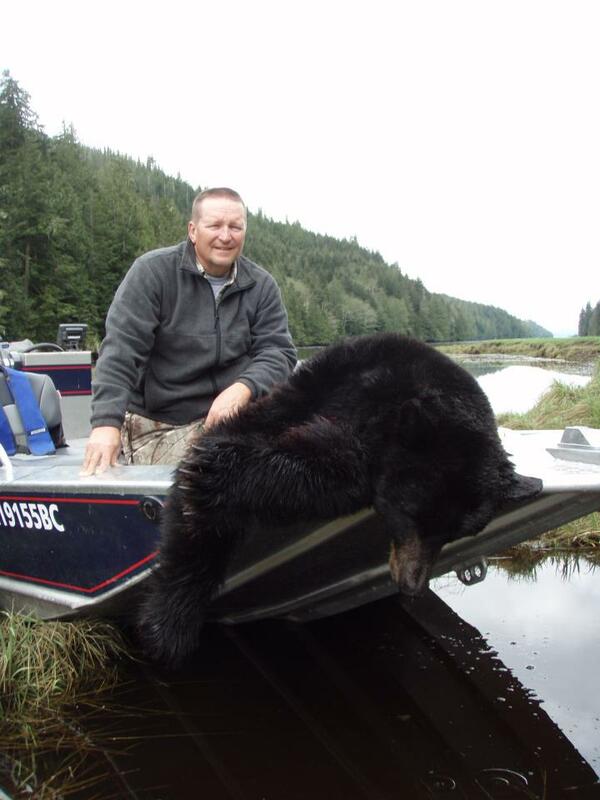 Eddie with his absolute giant Island Bear!! 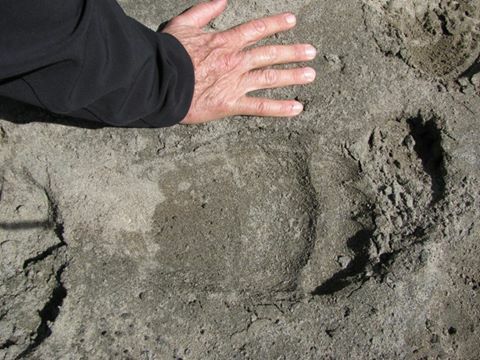 They don't get any bigger than this!! What a great week this was!! 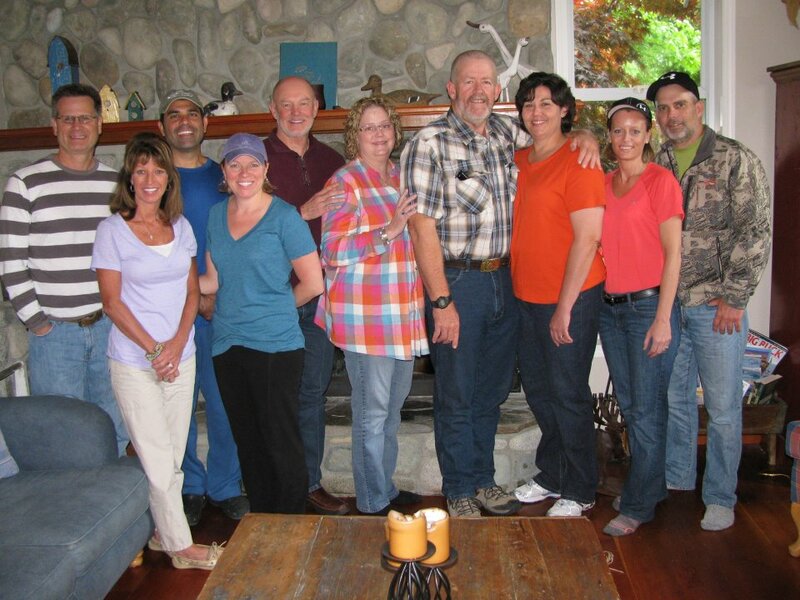 GREAT PEOPLE...great laughs....and 4 Huge big boars down the first day of the hunt, one more on day 3. Life is great!! 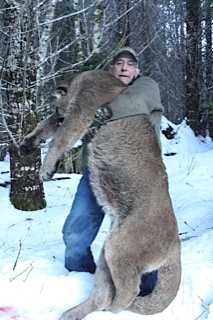 Tom from Mexico with a huge bear over 7 Feet with one of the nicest coats I have ever seen in the late season!! A beach bear. 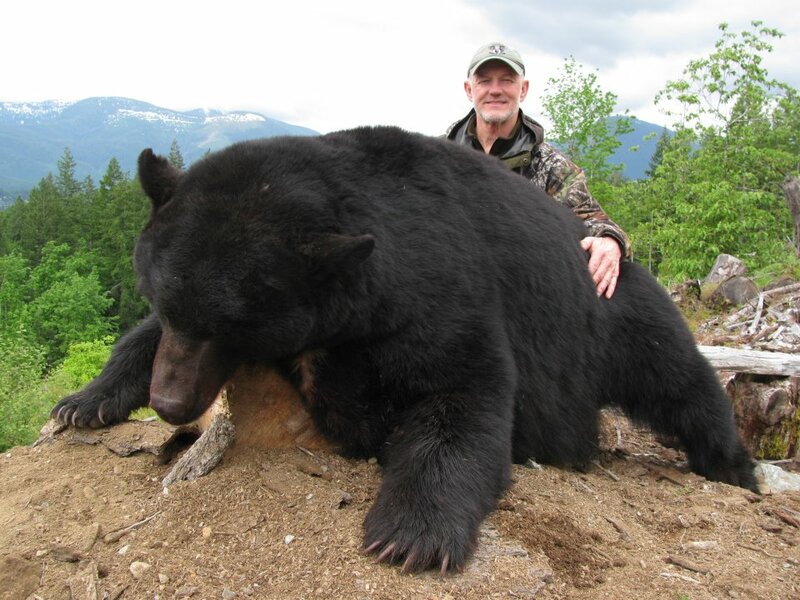 Jim from Texas with his giant bear 7 ft 10 in. 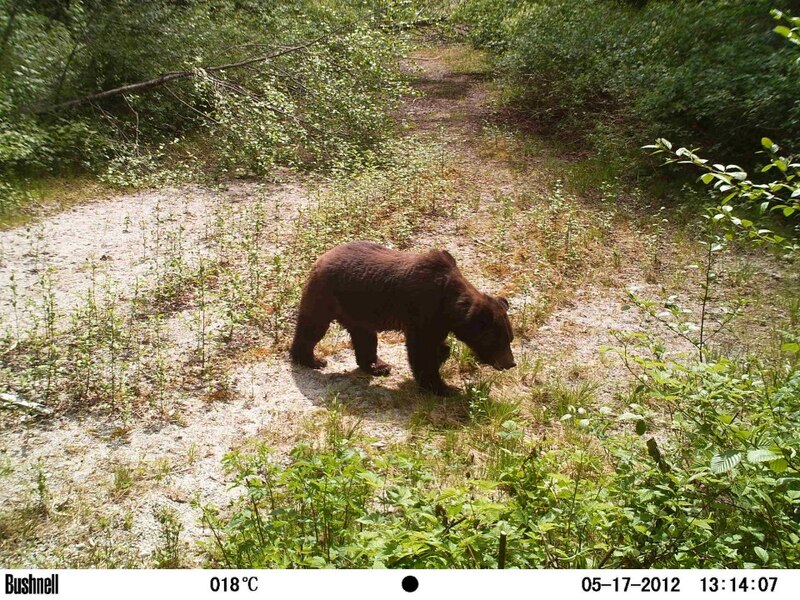 An hour before this picture we had an aggressive boar come within 5 yards from trying to eat Jim. 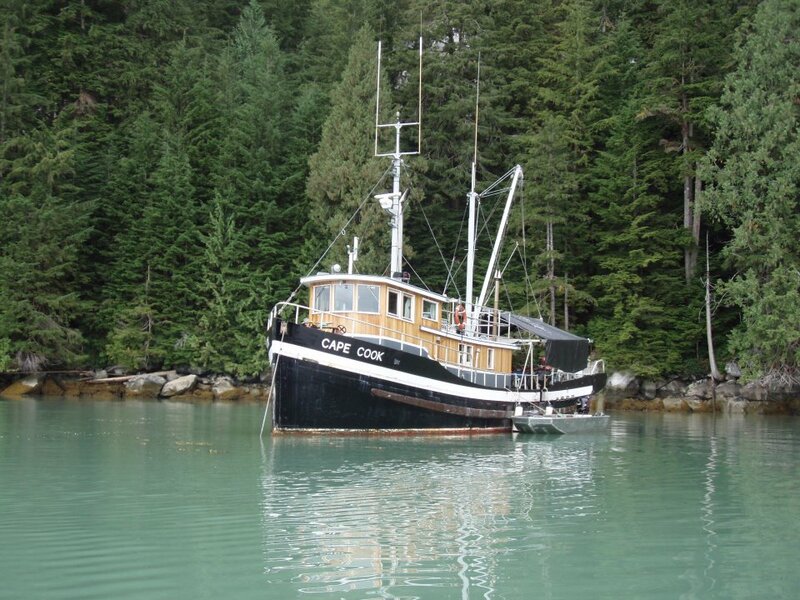 The Cape Cook at anchor. 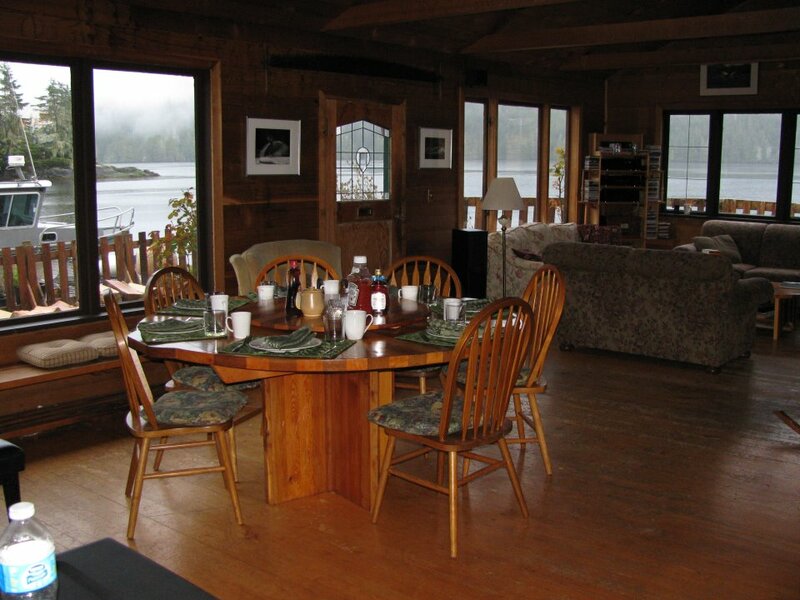 The Float lodge, one of your three choices for accommodations. 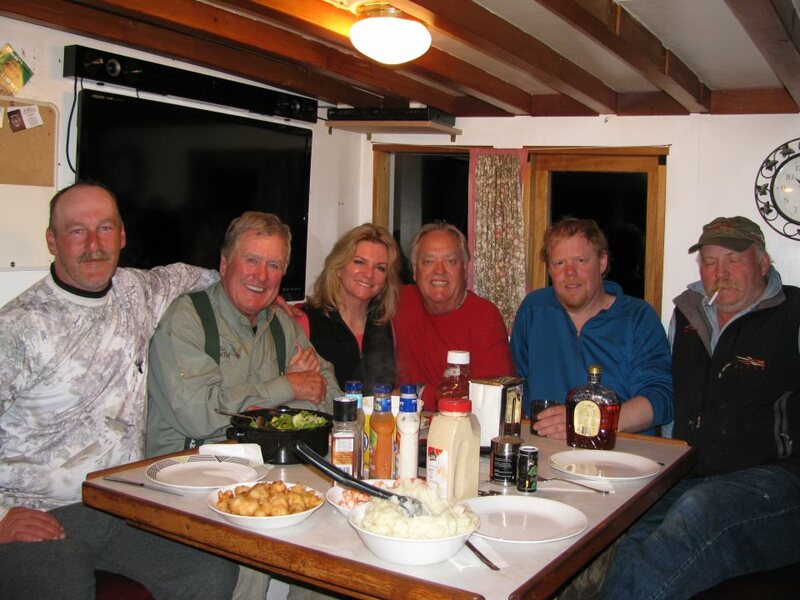 Life at the Float lodge!!! Meal put together by Hannah!!! Took a few minutes off bear hunting to pull the traps!! 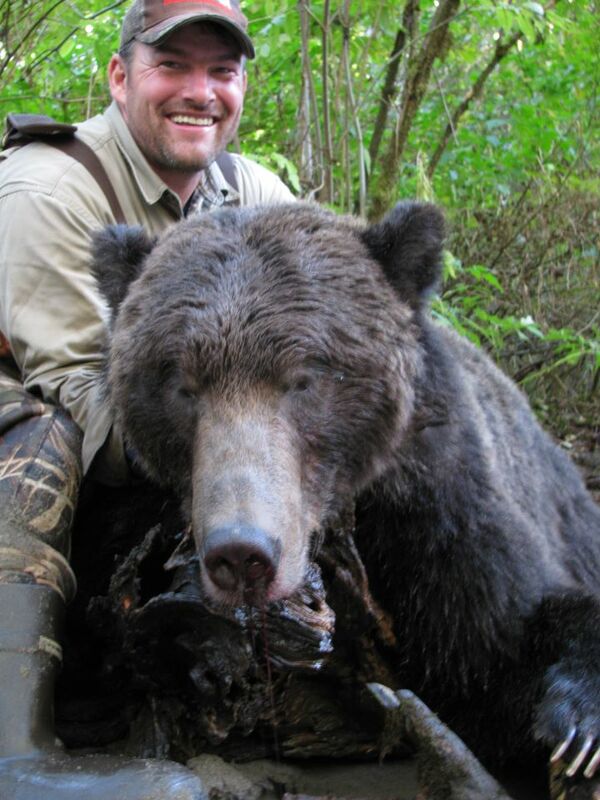 Scott with his 7 Foot + giant bear. Guided by Ryan!! Justins Dad Bill with his giant over 7 Feet. 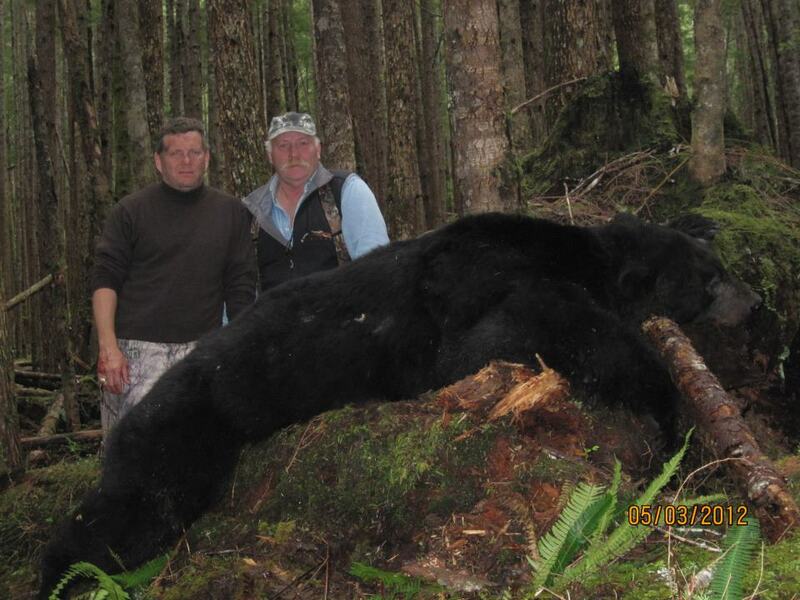 2 Giant bears in 2 days!! Justin came along with his Dad Bill from Maryland. 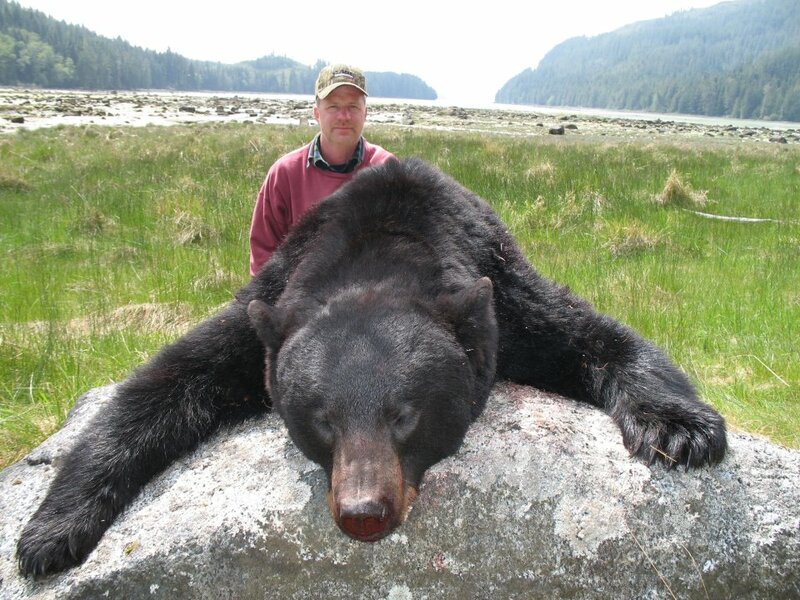 Justin always dreamed of taking an old warrior Black Bear and look what he got. Was missing an ear, his whole eye was ripped out and his chest crushed. 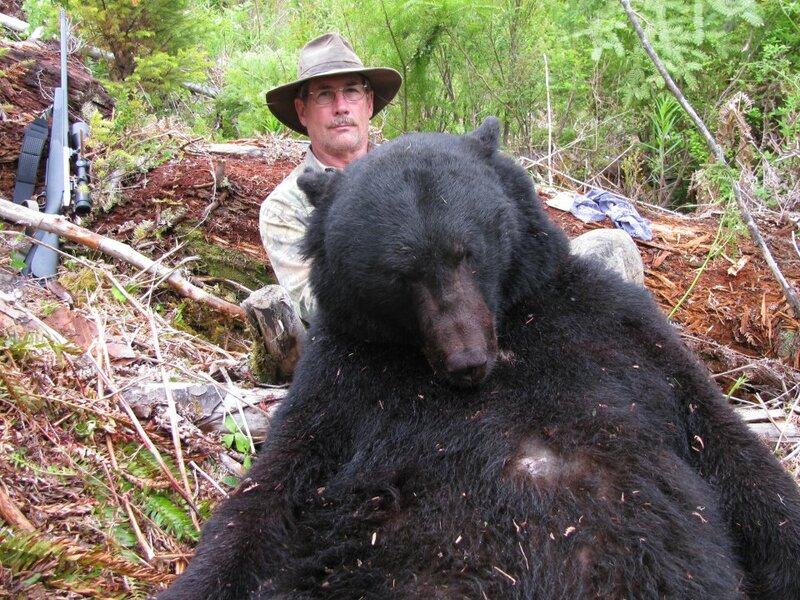 This bear was over 7 feet, wonder how big the other was? We will get him next season!! Guided by Perry, great Job!! 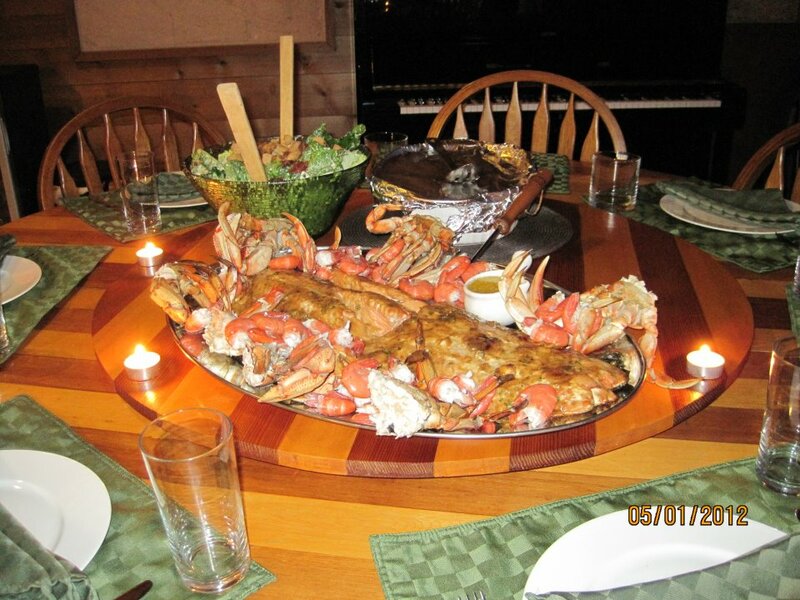 Steak and fresh crab for dinner!!! 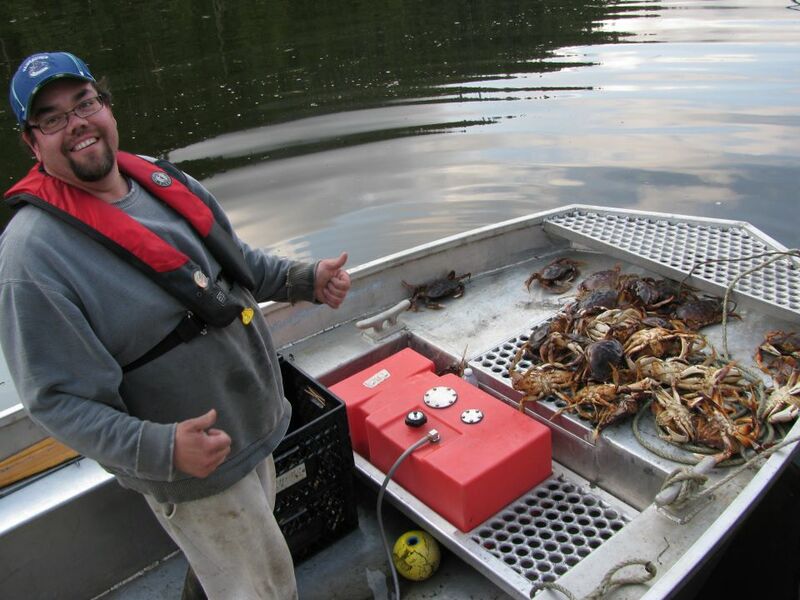 Good times on a boat hunt!! 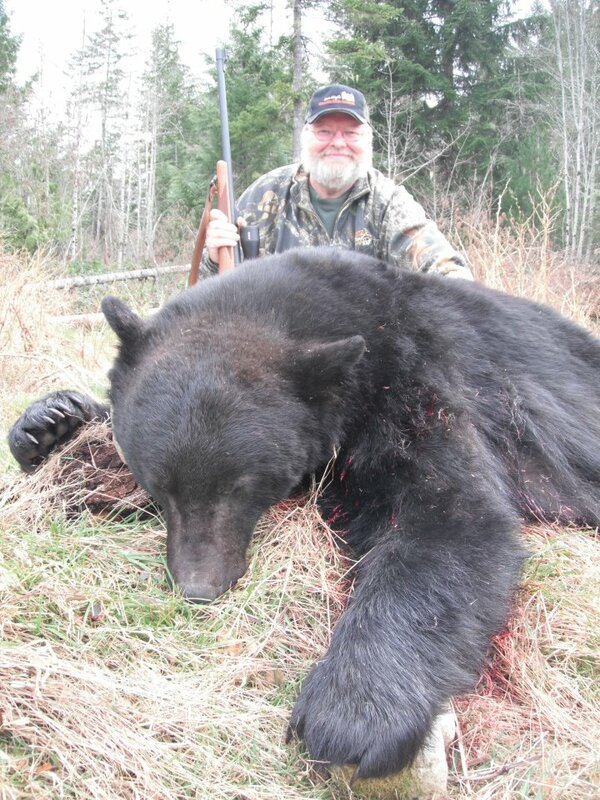 Robbie with his bear loaded up. 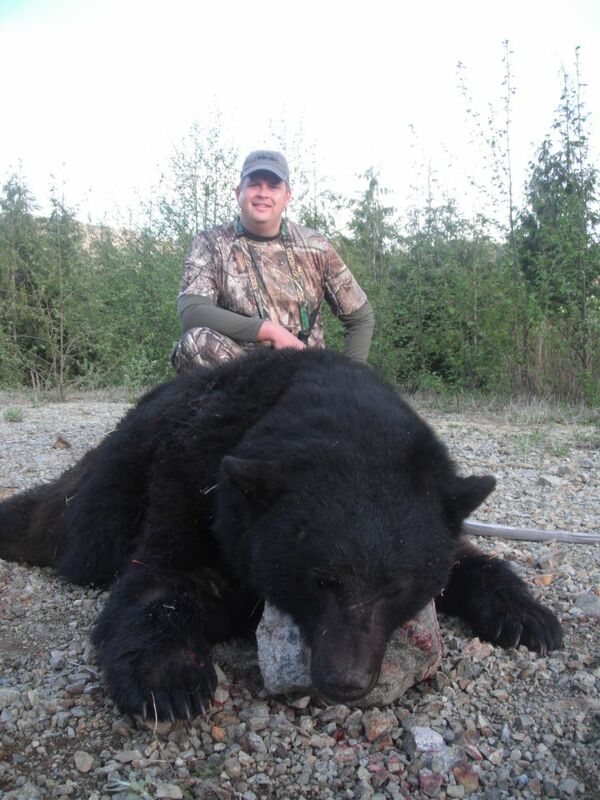 Wyatt with a one eared old warrior bear. 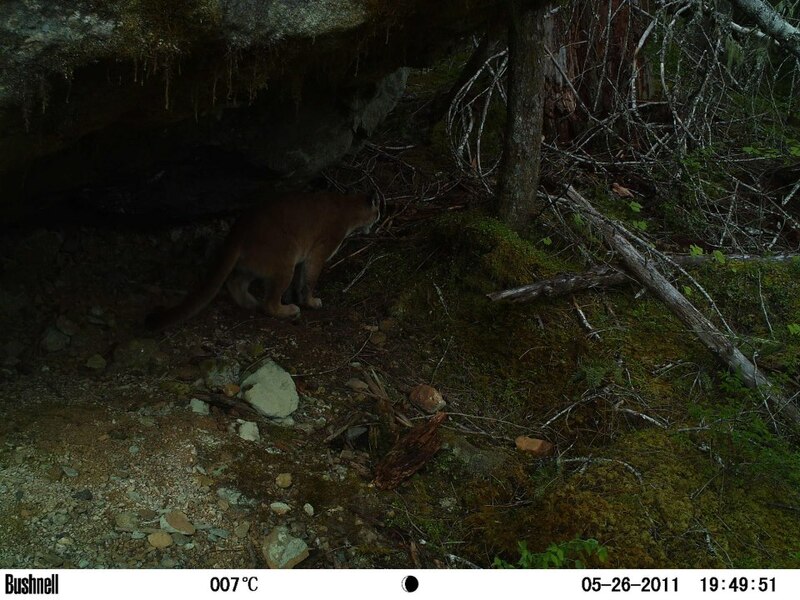 We saw it the day before with no opportunity and found it the next day. Dan and Robbie still figure it was deaf and blind!! 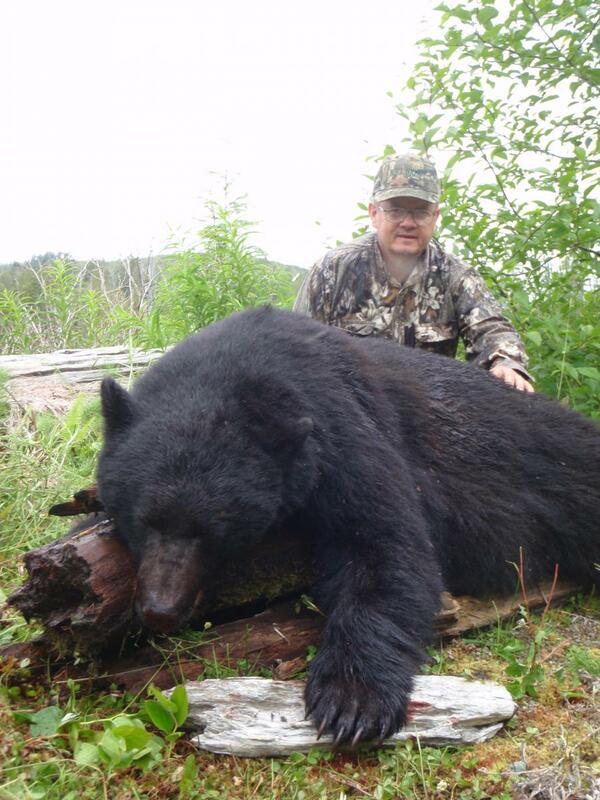 Barry from Texas with a well deserved bear!!! 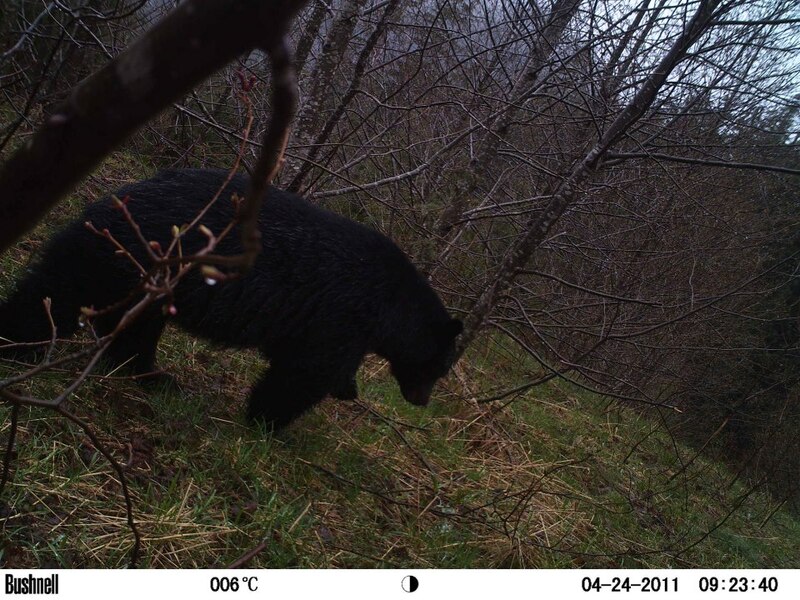 Just a sample of some pictures of our Spring 2012 Bear season. It was the best ever!! Larger, older and more bears than ever before! Special thanks to all my crew. You are the best there is!!! 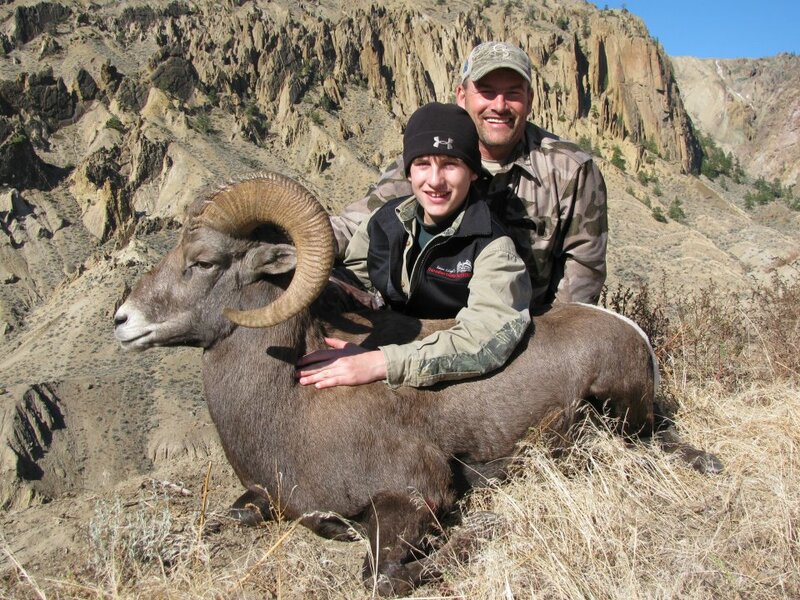 Matt and I snuck away for a quick Bighorn hunt. 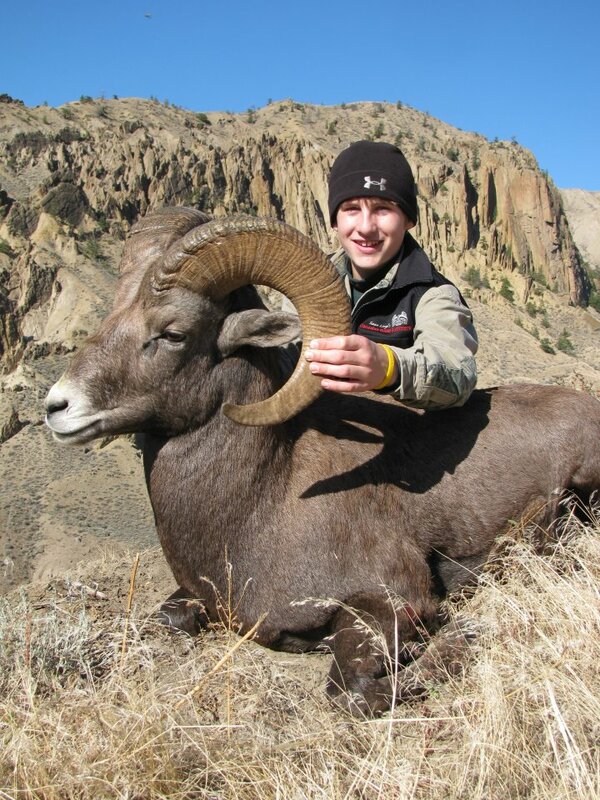 Matts first Mountain Sheep!! Good times!!!!! 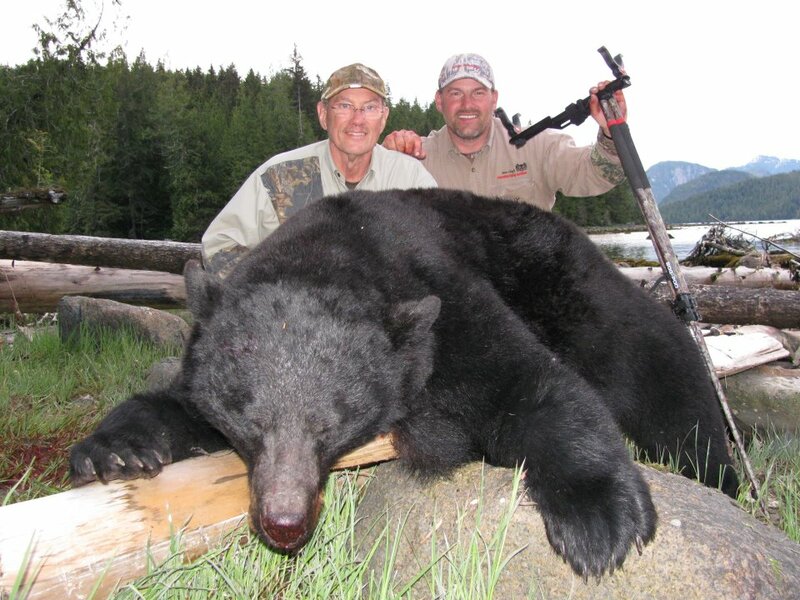 Brett and Aaron in Grizzly camp. 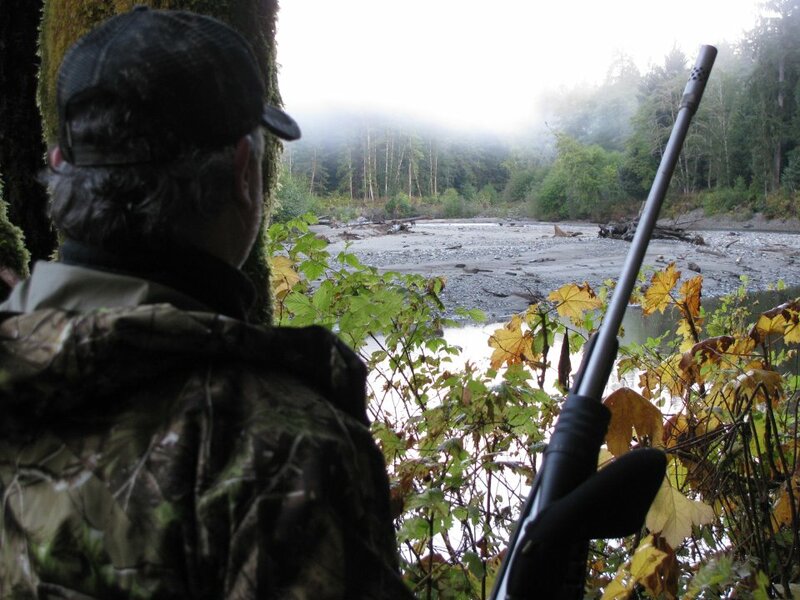 Brett watching some grizzly fishing. MERRY CHRISTMAS and a HAPPY NEW YEAR to all. I hope everyone has enjoyed a safe and happy Holiday season!!! 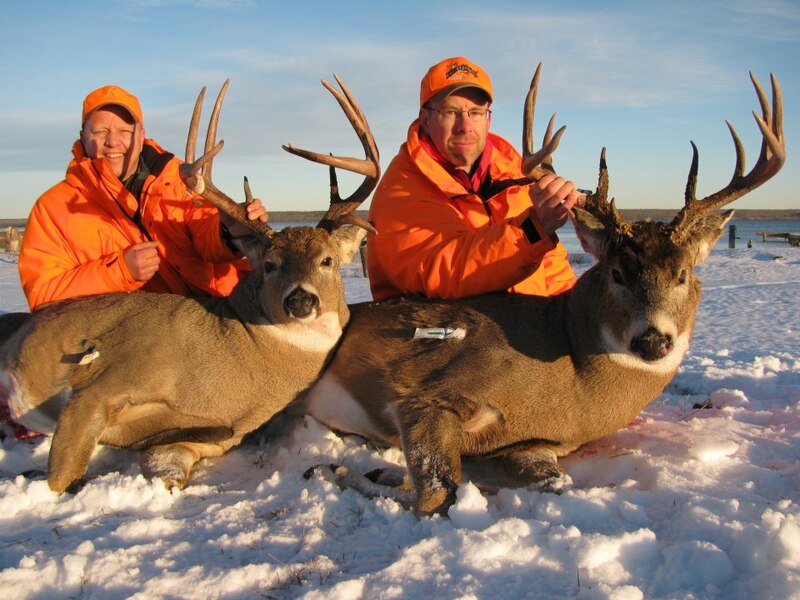 From Canadian Guide Outfitters and our family we wish you all a very Safe and Prosperous New Year! 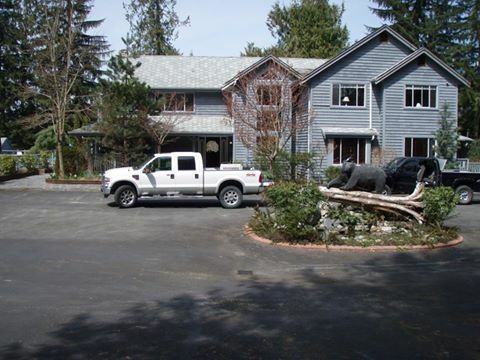 Thank you to all that made our 2011 year so successful and enjoyable. We look very forward to spending more time with you in the future.